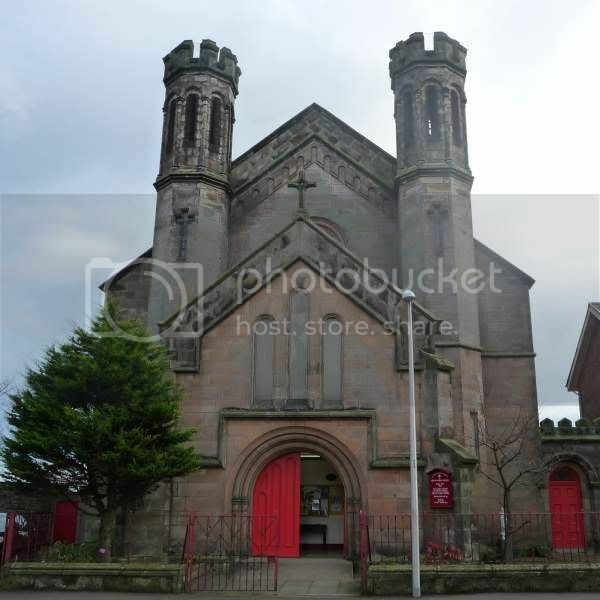 Located in St Thomas Catholic church in Arbroath. 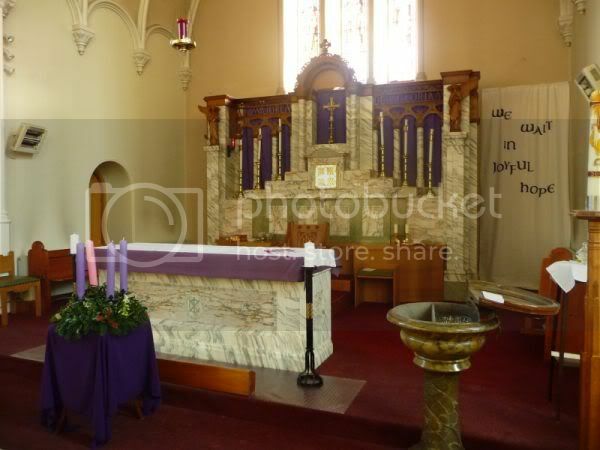 The Marble Altar, pulpit and rail were donated by the parents of Private Peter Kelly to the church. The rail was removed some time ago for reasons to do with changes in how services were conducted. I can only find on P Kelly who died on 9.3.1918. Is this the man commemorated here? That's who I listed on the congregation memorial. It does fit with the entry in the Arbroath RoH. 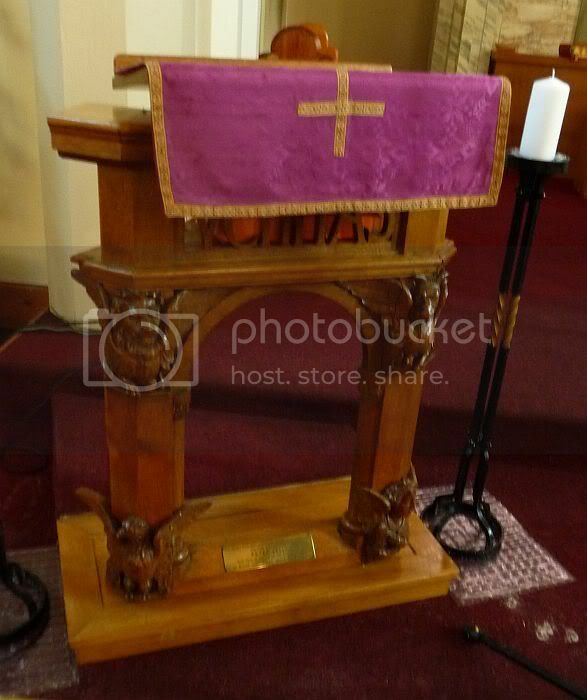 There was apparently a plaque to the other parishoner Ouchterlony according to some older members of the church. It hasn't been there for many years however and nobody knows what became of it. According to the war return on Scotlands People he was 23 when killed in action and unusually it lists him born at Nairn. Unveiling report in Glasgow Herald. ONE OF FOUR BROTHERS SERVING KILLED ACTION. 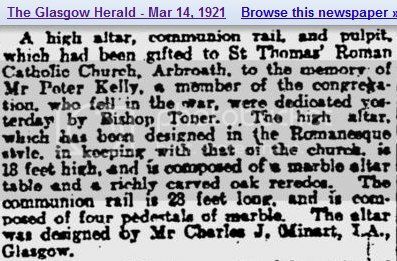 The sad intelligence has been received in Arbroath that Private Peter Kelly, Queen's London Ritleis, was killed in action on 9th March. Deceased who was 25 years of age and resided at 37 Lordburn was a son of the late Mr John Kelly, and brother of Mr James Kelly, waste merchant, West Grimsby, and along with three brothers joined the colours at the outbreak of war as a member of the R.A.M.C. At his own request, however, he was transferred to active service and went to the front with the Queen's London Rifles. He was formerly employed as a grocer with High St. Co-operative Society. The other soldier members of this patriotic family are Private Harwood Kelly. Black Watch; Private George Kelly, Royal Scots; and Sapper Frank Kelly, Royal Engineers. The Black Watch soldier has been wounded three times and the Royal Scot four times. 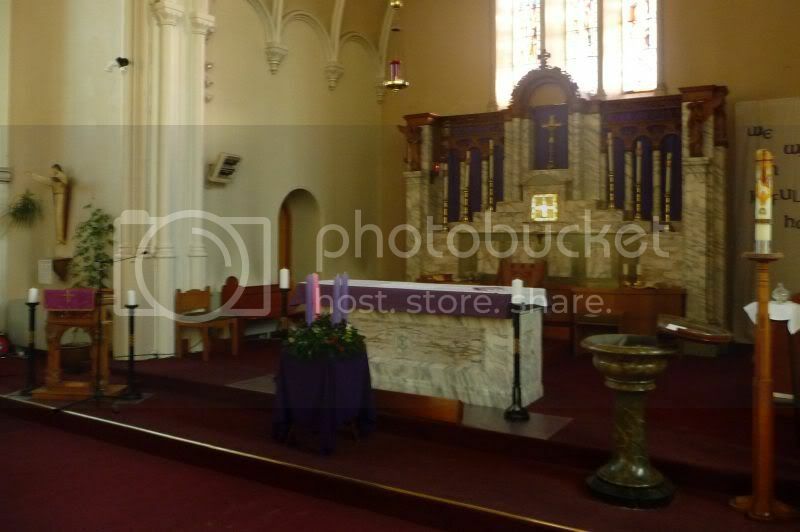 A brass memorial has been erected in St Thomas' Roman Catholic Church by Mrs Kathleen Ouchterlony, Guyed, in memory of her husband. Major John Palgrave Heathcote Ouchterlony, D.S.0., Royal Engineers, who was killed in action when 41 years of age at Ypres on 7th June, 1917, and of her child Peggy, who died in January last, aged 5 years.